Schools, residential communities, hotels and resorts are all looking for ways to bring people together in fun and active ways. By integrating functional and aesthetically pleasing recreational solutions from Tour Greens, XGrass, VersaCourt, Play It Surfacing and IceCourt, Lanmark Designs is outfitting today's most progressive communities with the tools they need to bring their community together. We say that design "Starts with an Idea" and we love working with our clients to transform areas into active and engaging places where communities really do come together. In the Site Planning and Design process, we review your space, analyze your clientele and discuss your objectives so that we can design a space that will truly accomplish your goals. From developing recreational areas with golf greens and putting courses to designing a complete 9-hole course on one of the world’s most exclusive private island resorts, Lanmark Designs and Tour Greens have teamed up to integrate innovative golf amenities into resorts and facilities around the world. 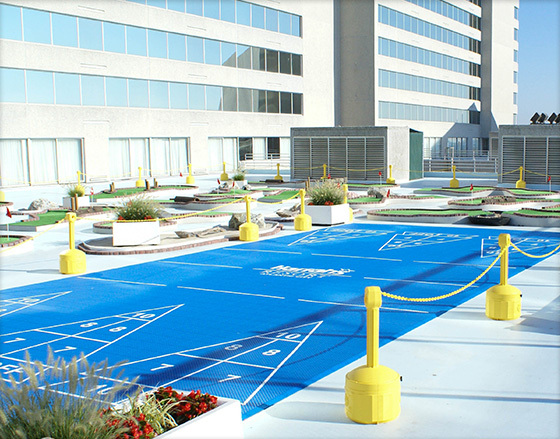 Few activities bring groups together more than games so we often incorporate fun activities like Shuffleboard, Bocce and other games into our designs. 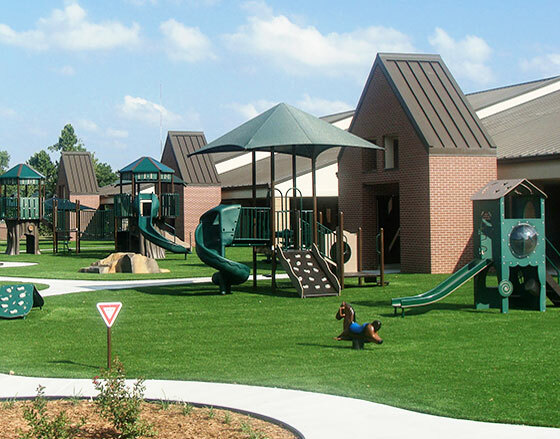 Versatile, low maintenance solutions from VersaCourt and XGrass provide us with a wide variety options for adding amenities to a typical recreational area. Playgrounds are an essential amenity to hotels, schools and other facilities that serve young families and Lanmark Designs has the experience and ability to integrate playgrounds into any space. 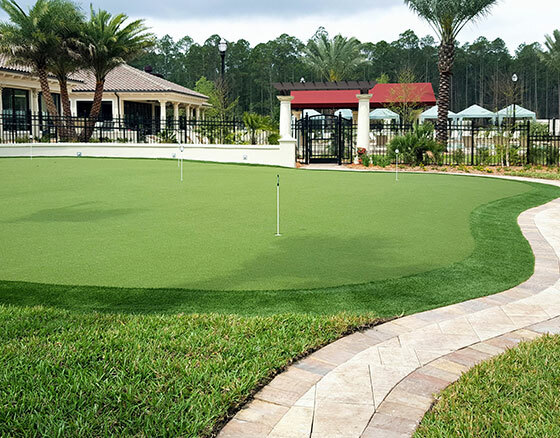 And, with our close relationships with XGrass, Play It Surfacing and Mulch Outfitters, we can help you determine the best surfacing options – turf, rubber or mulch - for your particular needs and budget. 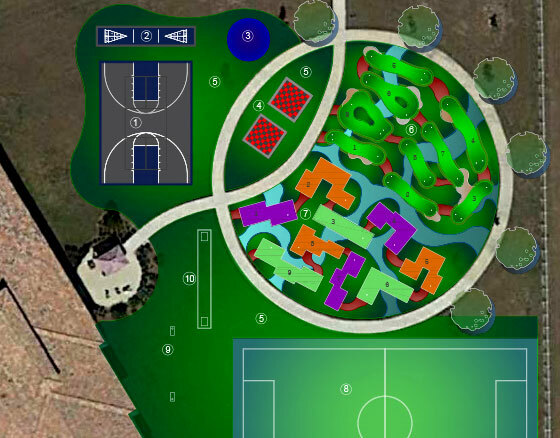 For larger spaces, we can integrate all types of sports fields and courts into our designs. 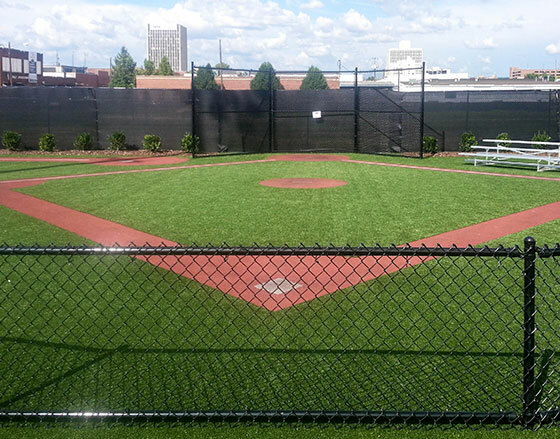 Shown here is the mini wiffle ball field at the Birmingham Baron’s baseball stadium that features XGrass synthetic turf and Play It Surfacing poured-in-place rubber.